Two decades after it was initially discussed, a new marina on Tims Ford Lake in Winchester, Tennessee, should soon become a reality. 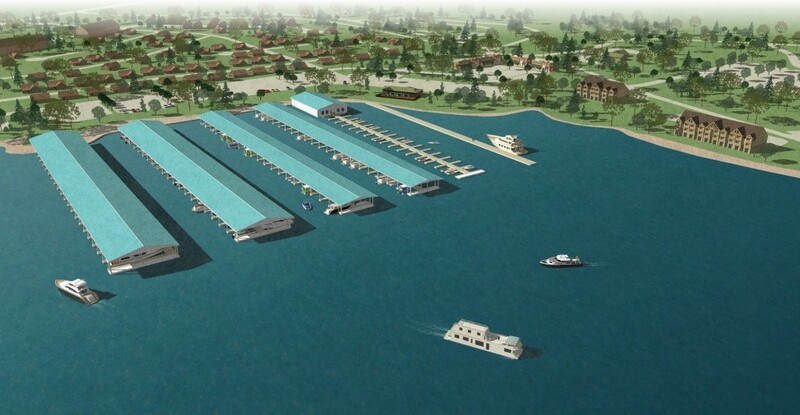 Twin Creeks Marina hopes to break ground this summer, once the Tennessee Valley Authority (TVA) approves the necessary permits. TVA owns the land and is leasing it to the marina. Twin Creeks will feature floating, covered aluminum docks with concrete decking. 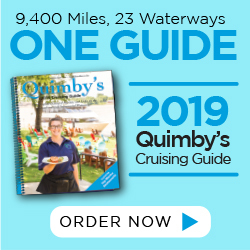 With 245 slips, the marina will be able to accommodate boats ranging from 80 feet to 24 feet, according to Dennis English, managing partner of Twin Creeks Marina and Resort, LLC. There will be 20 slips reserved for 80-foot houseboats and 60 slips for 40-foot houseboats. The houseboat docks will be full-service, with water, sewer and power. Other docks will have power. The marina will also offer a lift for pulling boats out of the water, a ships store and a gas stop. The 80-acre property on which the developer is building the marina will also include — as a totally separate project — the Twin Creeks Resort. It will consist of 25 upscale individual cabins, a campground and a fine dining restaurant by the water. There will be an adjacent, separate, housing development as well. “It’s the biggest project like this in Tennessee,” English said.